On Wednesday, December 13, 2017 The Gear Centre Group of Companies had the pleasure of visiting the Edmonton Garrison Military Family Resource Centre (MFRC) to help spread some Christmas cheer to the children of our military families. The wonderful staff at the MFRC welcomed us and introduced us to the children. Santa joined us and had a special gift and treat bag for each of the 94 children. Their excitement and joy won’t soon be forgotten. The Gear Centre Group recognizes the sacrifices that our military families make for our country. Click here to learn more about our time with the MFRC this holiday season. 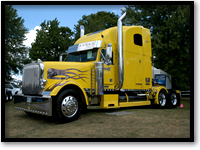 At Discount Truck Parts our aim is to provide customers with high quality heavy truck parts at discounted prices. We are able to do this by buying large volumes of new, remanufactured and surplus truck parts from our suppliers at lower costs than our competitors. 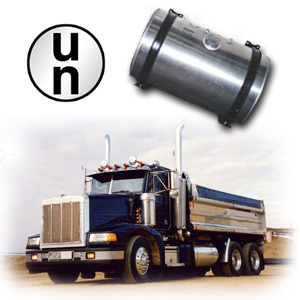 Among our selection is a large assortment of fuel, hydraulic and combination tanks. We can also custom build your own particular style of tank so call us today and we’ll start spec’ing out your replacements. 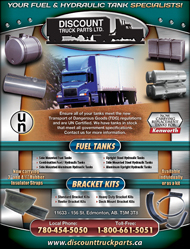 The Discount Truck Parts warehouse located in Edmonton, AB houses everything from tanks to axle shafts. 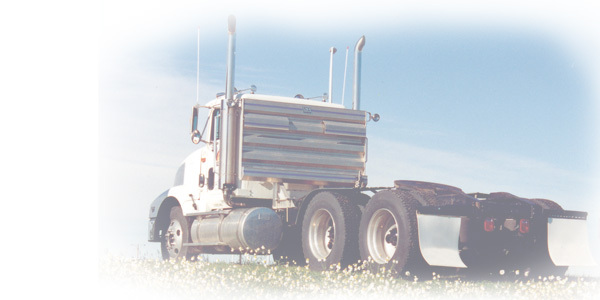 Our extensive inventory allows us to serve clients not only in the Canadian and American Heavy Truck market, but also countries across the globe. 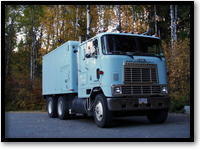 For quality parts at a great price, Discount Truck Parts has what you need.